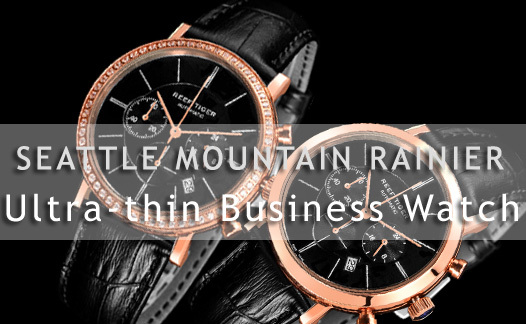 Since its birth, Reef Tiger has been upholding the brand spirit – doing better than being required, it mixes exquisite technology and unlimited ideas into each work, at the same time focusing on the development of creativity and details, which makes Seattle Mountain Rainier ultra-thin watch more outstanding. 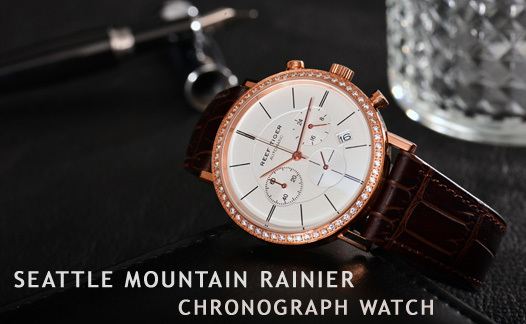 When firstly saw it, this ultra-thin quartz chronograph watch is the perfect reflection of simplicity and classic, it inherits the elegant and delicate tradition of Reef Tiger, another masterpiece from Seattle series. 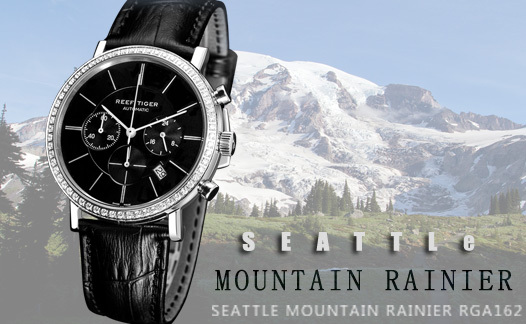 Mountain Rainier uses bar-shaped hour markers, there are double sticks at 12, 3, 6 and 9, date window is positioned between 4 and 5, coupled with slender hands, the whole dial looks simple and elegant. Round beveled 316L stainless steel bezel, 3-layered dial design more reflects the advanced technology of Reef Tiger, small second hand is running at 6, minute chronograph counter is at 9 and 24 hour is displayed at 3, so you can grasp the time accurately. In most cases we need to know the precise time to complete a job, press the button at 2, the chronograph started, then pressing the button at 4, the chronograph ended, the time is in your hands.